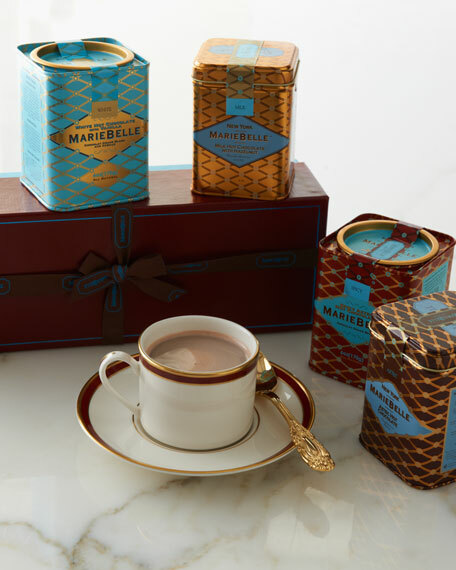 Collection of four tins contains MarieBelle's famous Aztec chocolate blends in distinctive 6-ounce tins. 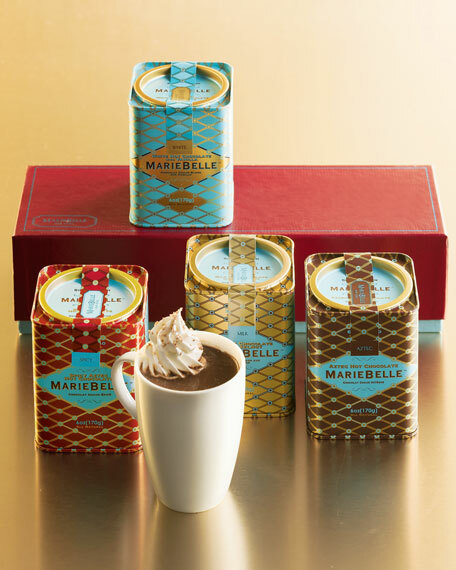 Flavors include Aztec Hot Chocolate, White Chocolate, Aztec Spicy Chocolate, and Milk Chocolate with Hazelnut. 4.25"W x 12.5"D x 3.25"T.